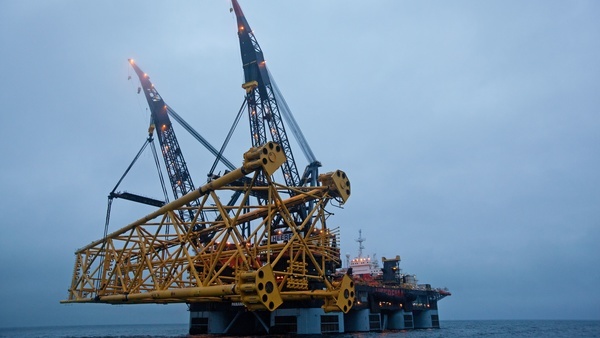 The Heerema Group of companies designs, fabricates, transports, installs and removes facilities for the exploitation of oil and gas at sea. For six decades, we have been serving the world’s leading energy firms and national oil companies in the North Sea, the Gulf of Mexico, Brazil, West Africa, the Far East and Australia. The organization of the Heerema Group comprises Heerema Marine Contractors (HMC) and Heerema Fabrication Group (HFG). Individually, these companies work at the forefront of their industries, helping their clients to safely operate at greater depths and in tougher environments. Together, they exchange expertise and talent, and co-operate on complex projects. We operate around the world and employ more than 2,000 people. Historically we have always been at the forefront and our ambition is to maintain that position. Our longevity is the result of long-term investments in people, knowledge and equipment. The industry will continue to grow for decades to come. New frontiers are opening up. Our clients need us to take them beyond 3,000 meters. And into the Arctic, with its unique engineering and environmental challenges. There is much left to explore. The Heerema Group is a privately-owned company with a steady, long term focus. We are investing in state-of-the-art construction and pipe-lay vessels, our fabrication facilities and the development of new technology. We offer our people a place they want to belong to. And we manage our reputation carefully. We avoid short-term gains that hurt our reputation, we invest in principles that last for decades in a responsible manner. We help our clients around the world and have offices in the areas that matter to our industry.